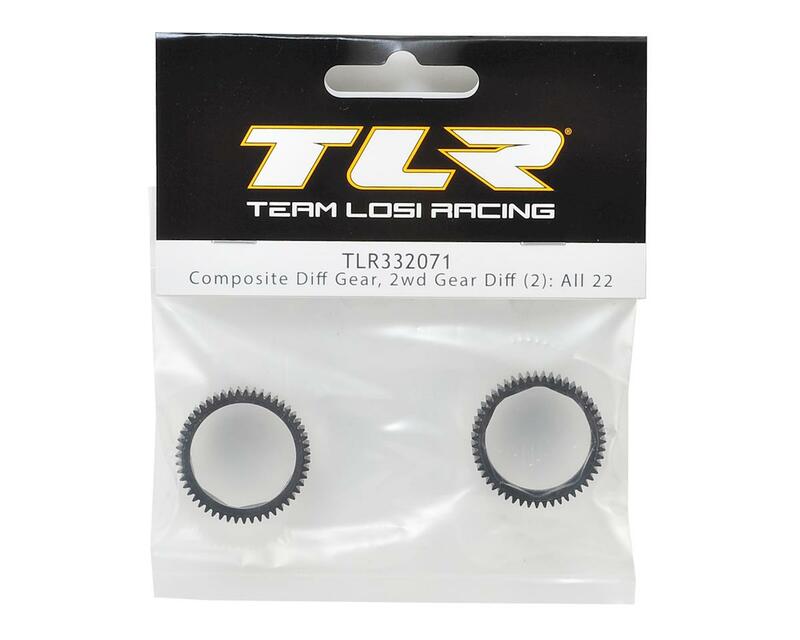 Team Losi Racing 2WD Composite Gear Diff Gear. 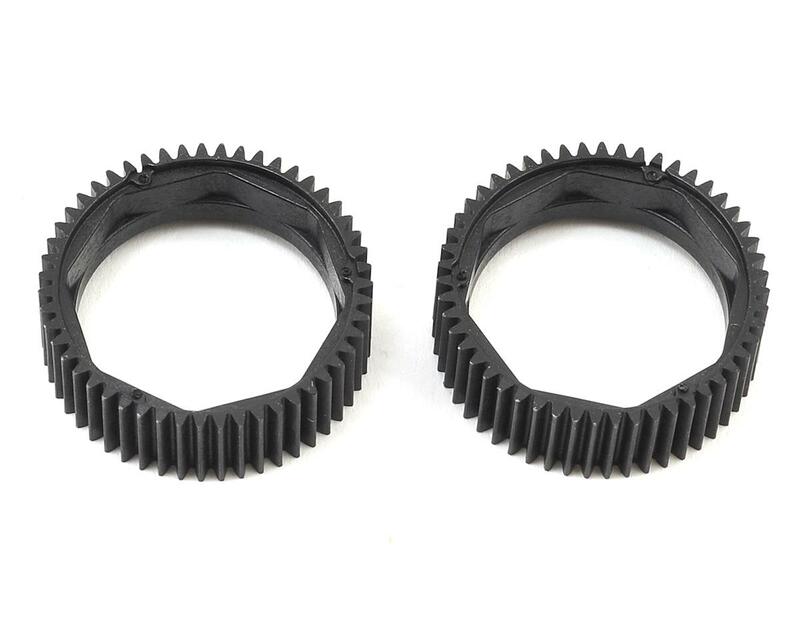 These are the optional composite diff gears for the TLR332067 gear differential and are recommended for 2WD applications only. Package includes two gears.